Jewelry Television will pay homage to Marilyn Monroe Saturday, which would have been the Gemini bombshell’s 87th birthday. JTV will be featuring its exclusive Marilyn Monroe Jewelry collection, which is inspired by Norma Jean. The line features more than 250 pieces of fashion jewelry ranging from $19.99 to $329.99. Each piece is covered in 14 karat yellow gold or rhodium and set with crystals and gems. 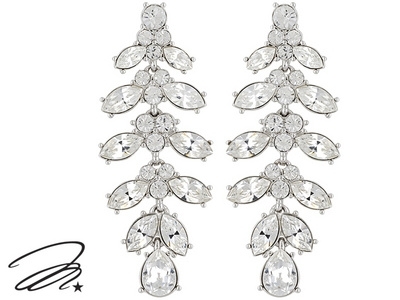 The collection features crystal dangle earrings that are replicas of the ones Marilyn wore when she famously sang “Happy Birthday Mr. President” to John F. Kennedy at Madison Square Garden. In addition, this collection features replica emerald earrings, which were a gift from Frank Sinatra, and casual gold hoops that were inspired by some she often wore. Monroe was born on June 1, 1926, in Los Angeles. Her name was Norma Jean Mortensen before she changed it to Marilyn Monroe. She died on Aug. 5, 1962, at age 36. Wow, it looks like ShopNBC actually had a good quarter. The home shopping network Wednesday reported first-quarter sales of $154.4 million, up 11 percent from the year-ago quarter. The company’s adjusted EBITDA was $5.8 million, and net income was $1 million. That net income isn’t much, but a year ago ShopNBC had a loss. Earlier this month, HSN reported that its sales saw a 2 percent uptick in the first quarter, to $550.1 million, versus the year-ago period. ShopNBC’s sales growth was driven by significant improvement in the home & consumer electronics category and strong results in the fashion & accessories category, according to ShopNBC. Adjusted EBITDA improved to $5.8 million versus an adjusted EBITDA loss of $1 million for the same quarter last year, reflecting improved sales and lower TV distribution costs. The home shopping network which is changing its name to ShopHQ, reported net income of $1.0 million, or two cents a share, compared to a year-ago net loss of $8.7 million, or 18 cents a share. Net shipped units increased 12 percent to nearly 1.5 million, reflecting continued improvements in the company’s merchandise mix and a modest decline in average price points. Internet sales penetration increased 30 basis points to 46.2 percent. Mobile transaction volume represented 23 percent of Internet sales compared to 13 percent a year ago. ShopNBC is taking the “NBC” out of its name, in part to avoid paying $4 million a year in license fees to the Peacock Network to use the name. ShopNBC broke the news Wednesday, the same day it released its first-quarter earnings. “The visual experience of the new brand begins today on TV, online, mobile and social platforms, with a gradual transition to the new brand and Internet URL to be completed over the balance of the fiscal year, supported by a targeted, customer marketing campaign,” ShopNBC said in its press release. The new website is http://www.shophq.com. ShopNBC had actually announced its planned name change three years ago, but at that time did not have the new moniker yet. The No. 3 home shopping network said it conducted research and vetting on the new name in partnership with Landor Associates, a global strategic branding and design firm. The Landor team worked with ShopNBC to develop and validate a name and positioning that would resonate with viewers, so the release said. ShopNBC CEO Keith got more than his two cents in. “The ShopHQ brand clearly communicates to current and potential customers that we aim to be their place for shopping, wherever they are and whenever they need us — on TV or online and across a broad array of merchandise categories,” Stewart said. In a separate press release on the company’s earnings, ShopNBC Chief Operating Officer Carol Steinberg explained the dollars-and- cents reasons for the change: The money ShopNBC has to pay NBCU to use “NBC” as part of its name. NBCU is part of Comcast, a major ShopNBC shareholder. ShopNBC has been operating under the ShopNBC name since June 2001m, and its current license agreement expires Jan. 31 next year. Stewart also sent an email to ShopNBC customers like us explaining the name change. 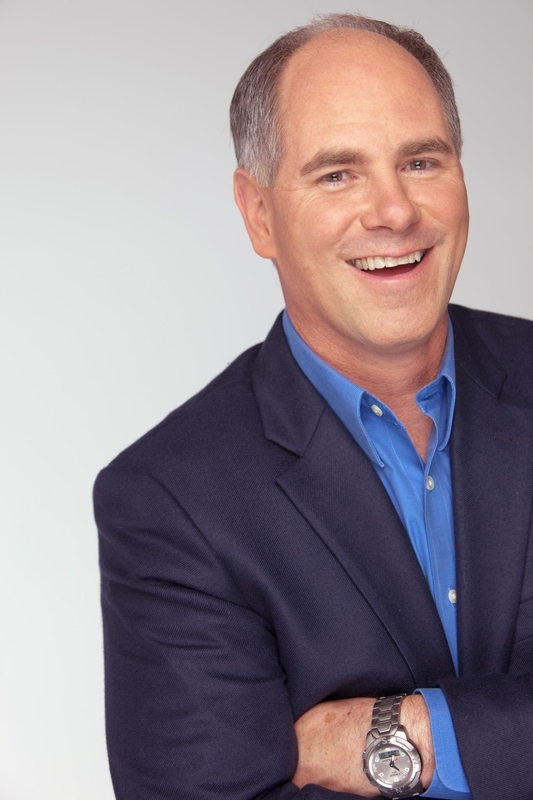 QVC host Dan Hughes is rather mysteriously taking a respite from his gig on the home shopping network. But it’s not for good, he assures us. “Just want to let my friends know that I will soon be taking some time away from QVC,” Hughes posted on Facebook. “NO I am not leaving. After a lot of thought Kelly and I have decided that it is time for me to take some time for myself and complete a few of my ‘bucket list’ projects,” he wrote. “I will be taking the entire month of June as a sabbatical. OK, Dan, we got it. The late Gerald “Jerry” Sisk Jr., co-founder and executive vice president of Jewelry Television, has posthumously been awarded the Lifetime Achievement from the International Colored Gemstone Association (ICA). The organization honored Sisk’s work and dedication to the industry posthumously in Chansha, Hunan, China, on Thursday. ICA board member Clement Sabbagh accepted the award on Sisk’s behalf after a video acceptance speech by his widow, Karen Sisk, and JTV co-founders Bob Hall and Bill Kouns. Sisk, 59, unexpectedly passed away in his sleep on a Sunday morning, Jan. 13. Sisk was a graduate gemologist (G.I.A. ), a member of the International Colored Gemstone Association, and served as a Gemstone Industry & Laboratory Conference committee member. He was named one of the five most powerful people in the world of gems and gemology on the JCK 2012 Power List. His book, “Guide to Gems & Jewelry,” has sold more than 15,000 copies and is in its second printing. During his career Sisk traveled to more than 40 countries worldwide. Judy Schmeling Promoted To COO, CFO Of HSN Inc.
HSN No. 2 honcho Judy Schmeling got a big promotion Wednesday. Schmeling, who has served as executive vice president and chief financial officer since 2001, was named chief operating officer and CFO of HSN Inc., effective immediately. HSN Inc. includes the home shopping network and the Cornerstone unit. In her new role, Schmeling will be responsible for supply-chain operations and customer-care functions in addition to providing ongoing leadership for finance and information technology. These four areas are now company-wide centers of excellence spanning HSN and the Cornerstone portfolio of home and lifestyle brands. “Judy is a world-class leader and the consummate professional, and she has been my partner in transforming HSNi and driving growth across all our businesses,” HSN CEO Mindy Grossman said. As HSN’s COO and CFO, Schmeling’s job will be to ensure efficient, cost-effective support in information technology, logistics and supply chain operations, customer care and facilities for HSN, in addition to managing all finance-related activities. She will continue to be based at the company’s headquarters in St. Petersburg, Fla.
Schmeling joined the company in 1994 as director of investor relations and treasury. She was promoted to vice president of strategic planning and analysis in 1998, to senior vice president of finance in 1999, to executive vice president and CFO in 2001, and to CFO of HSN Inc. when the company went public in 2008. A native Floridian and a graduate of Florida State University, Schmeling is married and has three sons. She serves on the board for Constellation Brands Inc. and the advisory board of FM Global. HSN also promoted two other senior finance executives, Michael Attinella and Patrick Vonderhaar, both reporting to Schmeling. Attinella was appointed CFO of HSN and chief accounting officer of HSNi. He joined HSN in 2001 and most recently served as senior vice president, chief accounting officer and corporate controller of HSNi. Vonderhaar was elevated from vice president and corporate controller to CFO for Cornerstone Brands. In addition, Rob Solomon has been appointed executive vice president, customer care & operations administration, HSNi, and Bob Monti as executive vice president, Supply Chain & logistics, HSNi, both reporting to Schmeling. Comcast Corp. honcho Brian Roberts has a new set of eyes on ShopNBC’s board. Robert Pick, Comcast’s Senior Vice President of Corporate Development, will fill a vacancy left by the resignation of Catherine Dunleavy, following the expansion of her responsibilities as executive vice president and chief financial officer of Comcast’s NBC Universal Cable Entertainment Group. “I am delighted to be joining ValueVision’s (i.e. ShopNBC’s) Board of Directors and look forward to working with Randy and the rest of the Board,” he said. No. 1 cable company Comcast, through its ownership of NBC Universal, holds more than 7.1 million ShopNBC shares, representing approximately 14.5 percent of the total stock. At Comcast, Pick oversees the company’s corporate development and merger and acquisition activities. He joined Comcast in 1989 and has played an integral role in shaping Comcast’s strategic vision and its implementation. During Pick’s tenure at Comcast, he worked on the newly created NBC Universal joint venture with GE Corp.; the sale of spectrum to and creation of a joint operating entity with Verizon Wireless; the acquisition of AT&T Broadband; the unwinding of Comcast’s stake in Time Warner Cable; acquisitions of the cable assets of Adelphia Communications, Maclean Hunter, EW Scripps and Jones Cable; the start-up of the telecommunications company, Teleport, and the high speed broadband company, @Home (which flopped); the acquisitions of E! Entertainment and the Golf Channel; and the acquisition and sale of QVC and Comcast Cellular. Prior to Comcast, Pick held various financial positions with Bell Atlantic and spent 10 years with KPMG Peat Marwick. On Facebook our bestie Natalie (who is celebrating her birthday today) tipped us off that QVC’s makeup diva Mally Roncal was celebrating her wedding anniversary. Mally, one of the most bubbly chicks we’ve ever seen, on Facebook wished her hubby Phil a happy 14th anniversary, with then and now photos. ShopNBC will release its first-quarter results after the market closes on May 22. Management will host a conference call/webcast to review the them at 4:30 p.m. the same day. CEO Keith Stewart will participate in the call, as will President Bob Ayd, Chief Financial Officer Bill McGrath and Chief Operating Officer Carol Steinberg. The call and webcast are open to the general public. ShopNBC increased the size of its credit facility with PNC Bank from $40 million to $50 million and has extended the facility’s maturity to five years, through May 1, 2018, the network said Tuesday. The existing three-year facility was scheduled to mature February 9, 2015. PNC N.A. is a subsidiary of PNC Financial Services Group. The expanded facility carries the same interest rate of LIBOR plus 3 percent. The credit facility is secured by ShopNBC’s and its subsidiaries’ accounts receivable, equipment, inventory, and certain real estate as well as other assets. The facility will be used to finance inventory and other working capital needs as well as capital expenditures designed to support the continued growth of the business. You are currently browsing the Homeshoppingista's Blog By Linda Moss blog archives for May, 2013.